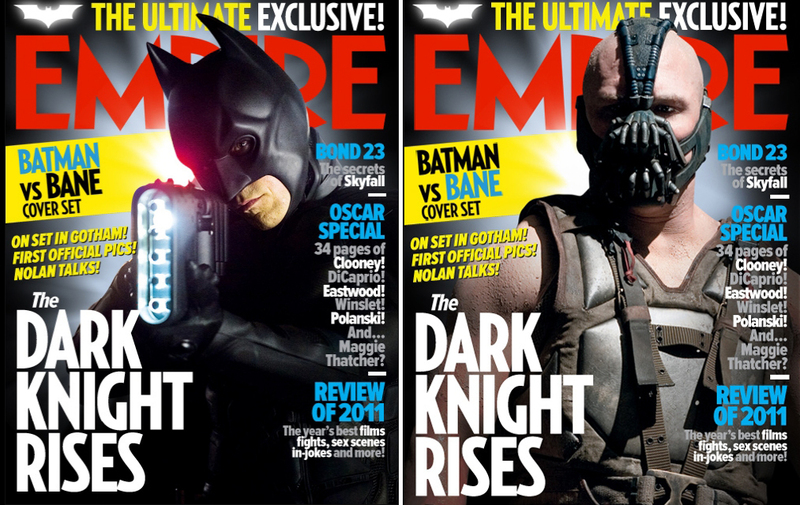 Empire, the magazine for movie buffs new and old have splashed out on the latest edition with covers dedicated to The Dark Knight Rises. While you'd think if you really wanted to move some books, one variant would feature Catwoman, Bane does his intimidating best, while Batman is ready to scan barcodes at the counter of your nearest 7/11. The next trailer for The Dark Knight Rises is rumoured to be attached to Sherlock Homes: A Game of Shadows and possibly partnered with the debut trailer for that other movie milestone; The Hobbit. So make sure you schedule Sherlock's release on Dec 16th to possibly scope them both out, and grab one of these Empire beauties to fill in the gap.